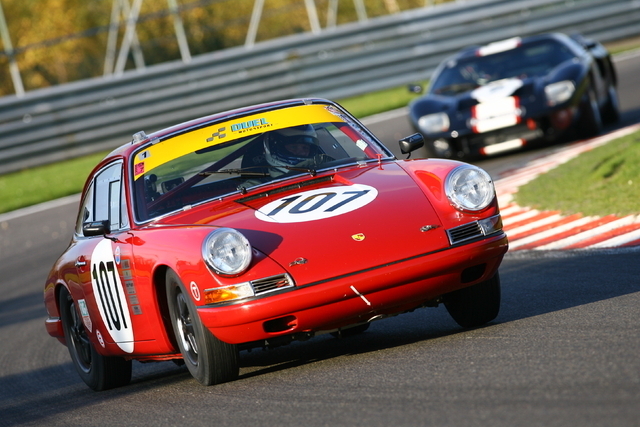 Throughout the the years, we've specialized ourselves in the 1965 Porsche 911. Running several cars in in different championships for more than 10 years now, we can fall back on a large information source about this car. Although there is a lot of development done in these past 10 years, we are still improving the cars every year. Engine performance, standard 130BHP, now 200+. We use our own exhaust system, in combination with our cam-shafts and modified Solex carburetors. Also the internals of the engine are modified on a lot of points. Shock absorbers, in conjunction with the modifications on the trailing arms, this makes the car much more driver friendly and reduces the tyre-wear by a considerable amount. Gearbox, making our own gears, we can make any combination that is perfect for any circuit. All the modifications made, are FIA approved. Due to the ever more demanding noise restrictions across the circuits in Europe, DUEL developed a new exhaust system that can be driven with or without a silencer and still gives an even better power output than the factory megaphones. 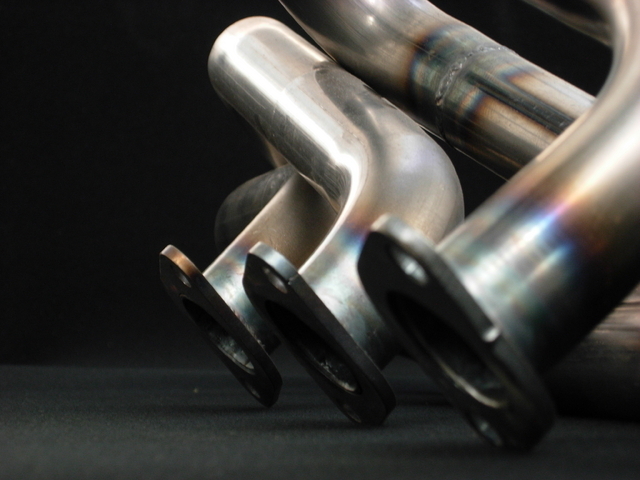 This resulted in a power increase of 35% against the best silent race or aftermarket exhaust we’ve tested on our dyno. The DUEL exhaust system comes with headers, linking pipes, silencer and mounting bracket. The open pipe replaces the silencer only, without any change needed on the carburettors. 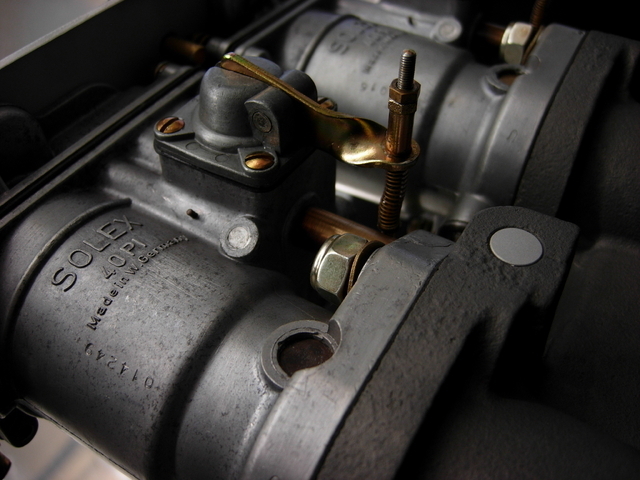 All the historic ( 1965 ) Porsche drivers are familiar with the problems of the Solex overflow carburettor. 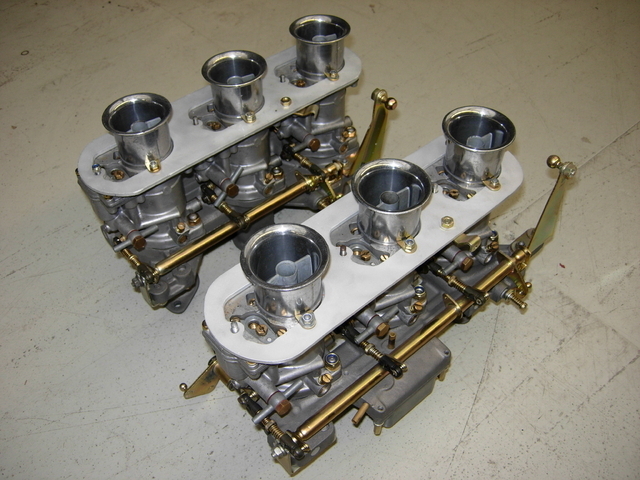 On race or rally engines these carburettors are notorious for their bad carburation and therefore bad fuel consumption. DUEL solves this problem by modifying the carburettors, this is mostly done with a complete rebuild of the carburettors and intake manifold. With these modifications and with the DUEL exhaust system the engine will get a very broad power band. We now run our rally engine’s on full race camshafts without any lack of power in the mid range. Due to the broad power band of our engine’s, we have a better fuel consumption, we can use longer gears in our gearboxes and have less gear changes. This all gives the engine and gearbox a longer lifetime which is a must for long distance racing.